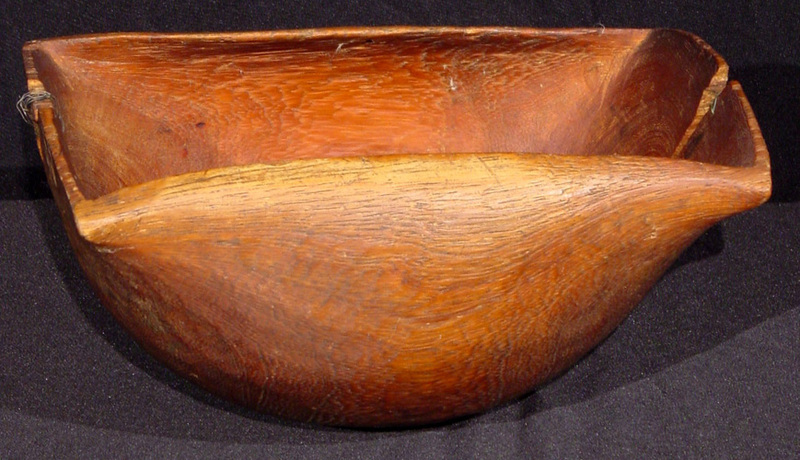 Pokot & Turkana tribes medium sized wood bowl used by the Pokot and Turkana people of northern Kenya. The bowls are carved by the women using traditional tools and an indigenous tree. This bowl was used to receive cow's blood that is obtained by piercing the jugular vein, and then afterward plugging the hole to stop the bleeding. The cow's blood is mixed with the cow's milk and then consumed for nourishment. Sometimes when eating the meat of the cow, it is first dipped into this mixture. 5" h, 11" x 6 1/2"
$265 Click here for payment information and shipping quote using item #.